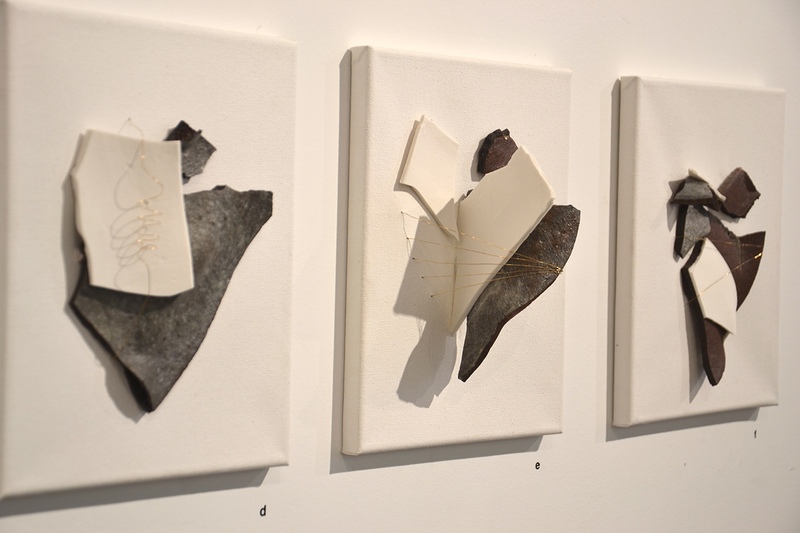 Each size: 8 “w x 10”h x up to 4”d (in), Earthenware clay, Porcelain, Metal wire, Cotton, Wood, 2015 While in residency in New York, I had the misfortune of working with a kiln that was malfunctioning. All projects melted, and the results were unreliable. I fielded countless questions from other artists regarding whether I was heartbroken. 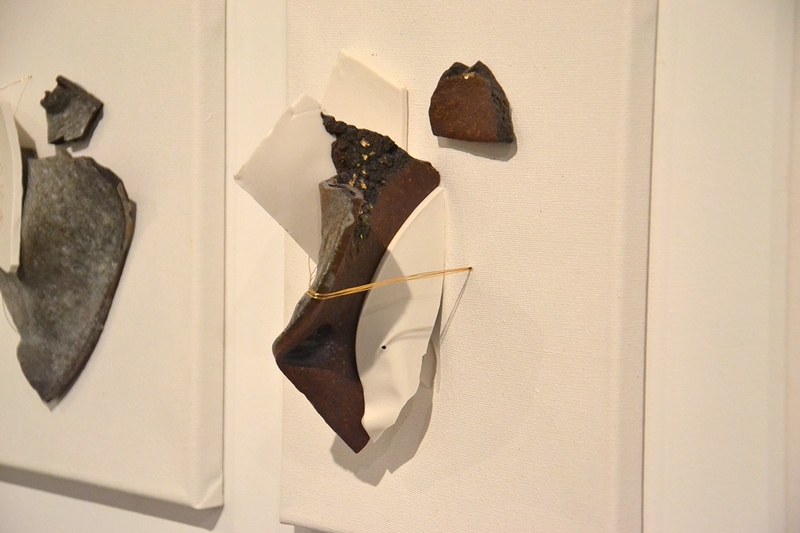 I was, and decided to create a piece from disappointment, which communicated as much. 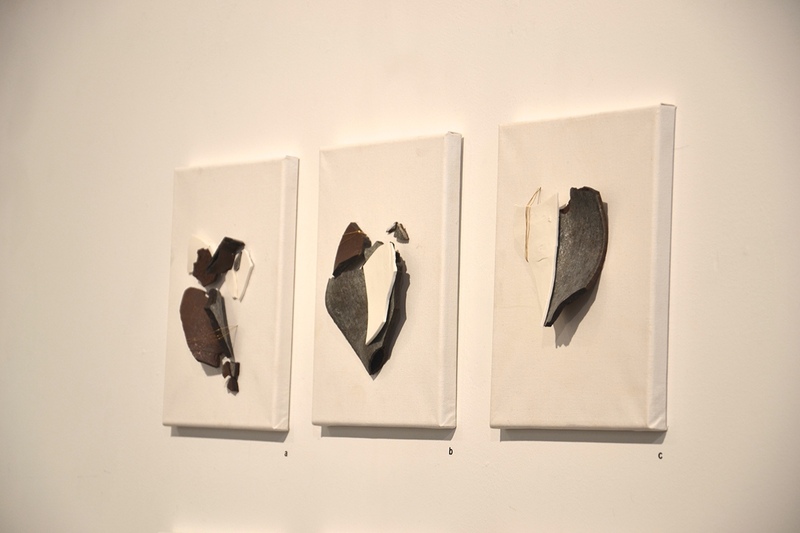 Using the flawed pieces of ceramic, I began to make Heartbreak Series. 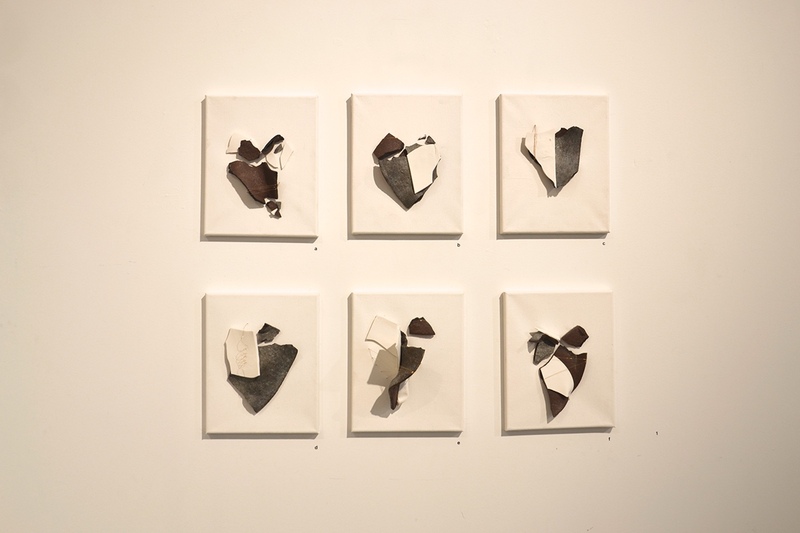 Each piece rests on a canvas with the fragments coming together to form the shape of hearts. They are secured with gold wire and are featured in a set of six. From failure, I wished to create something more perfect and precious looking. I salvaged from failure the opportunity to make something beautiful.